1. Take on a full stomach to enhance absorption. Do not lay down after administration; may precipitate erosive esophagitis. 2. Do not take with milk, cheese, ice cream, yogurt, or other foods or drugs containing calcium. If taken with meals, avoid these foods for 2 hr after administration. 3. Zinc tablets or vitamin preparations containing zinc may interfere with drug absorption. Food sources high in zinc that should be avoided include oysters, fresh and raw; cooked lobster; dry oat flakes; steamed crabs; veal; and liver. 4. Avoid direct or artificial sunlight (i.e., dental treatment lamp), which can cause a severe sunburn-like reaction; report if erythema occurs. Wear protective clothing, sunglasses, and a sunscreen if exposed and for up to 3 weeks following therapy. 5. Tetracyclines interfere with formation of tooth enamel and dental pigmentation from the third trimester of pregnancy through age 8. 6. Use alternative method of birth control, as drug may interfere with oral contraceptives; may also cause a vaginal infection. 7. Take only as directed and complete full prescription. Discard any leftover meds to prevent reaction from deteriorated drugs. 8. Let the dentist know if the infection progresses despite tetracycline therapy. 9. Report signs and symptoms of superinfection (i.e., sore throat, oral burning sensation, fever, fatigue). 10. Stress the importance of good oral hygiene in order to prevent or minimize soft tissue damage. 11. Use caution with oral hygiene aids. 12. 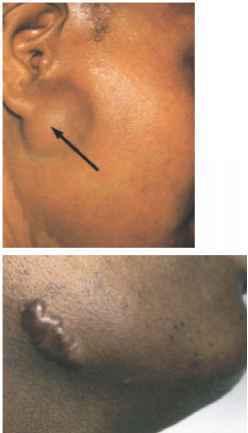 Take tetracycline 1 hr before or 2 hr after using air polishing device (Prophy Jet).